Despite a favorable critical reaction, the ratings were never where they needed to be. As a result, the show was canceled after thirteen episodes. For a four-part look back at the show, I am joined by my esteemed colleague, Jeff, blogger extraordinaire of Slazenger1. Jeff: Thank you for the undeserved praise. I’m interested to see if we come up with anything new to say about this little show that we haven’t previously covered. Patches: Haha. We ended up with 74 pages of email exchanges. It might be quicker to just watch the series again rather than re-read our emails. If you could boil 74 pages of thoughts and analyses into one word, what would it be? 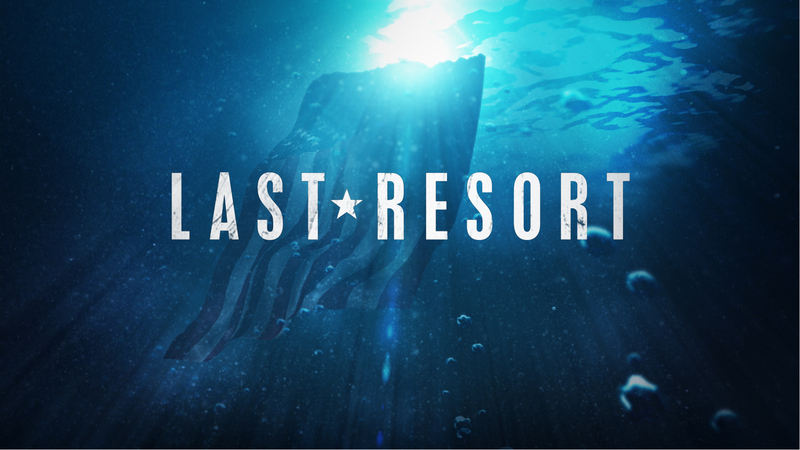 What adjective would you use to describe Last Resort?